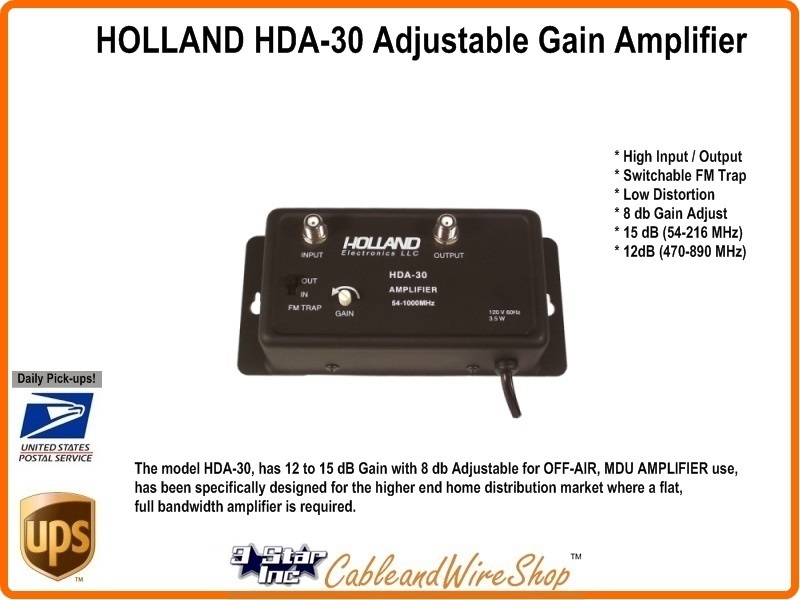 The HDA-30 ~ 15 dB Gain with 8 dB of it is Adjustable OFF-AIR, MDU AMPLIFIER has been specifically designed for the higher end home distribution market where a flat, full bandwidth amplifier is required. The low noise and high output capability make this amplifier ideal for systems with either the weakest or strongest input signals. Passes VHF 54-216 MHz and UHF 470-890 MHz for a little more Gain after a Pre-Amplifier without all the Distortion. Adjustment allows you to find the Happy Median! The IC amplifiers offer both advanced reliability as well as a higher return loss insuring the signal flatness within the distribution system.